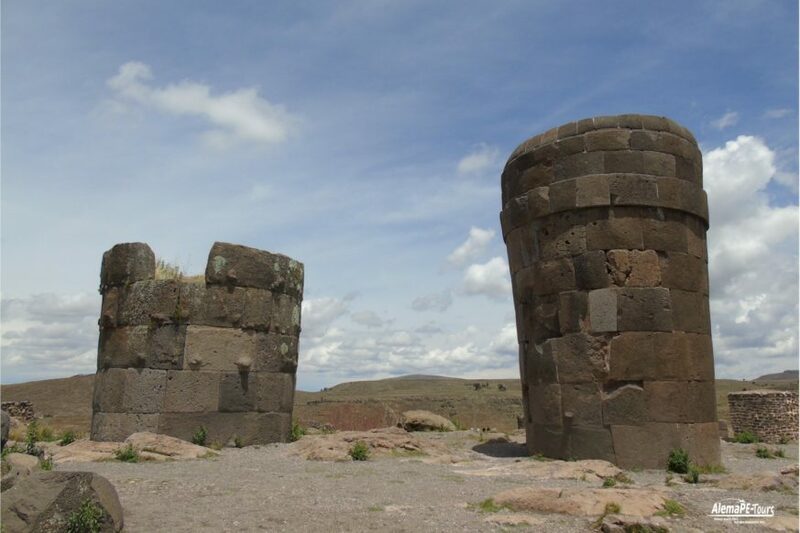 The tombs of Sillustani are the most fascinating, non-Inca period monuments Perú has to offer. 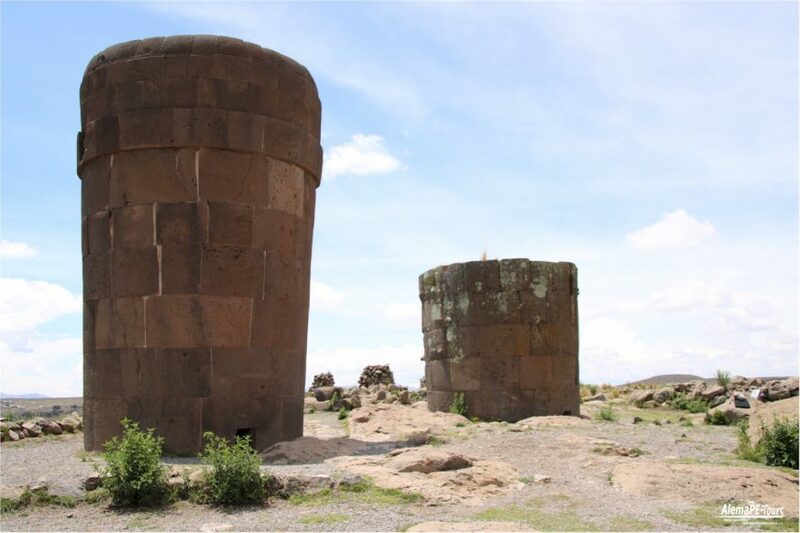 Here the ancestors of the Inca, the people of the Colla (a tribe of the Aymara) buried their kings in monumental stone towers. 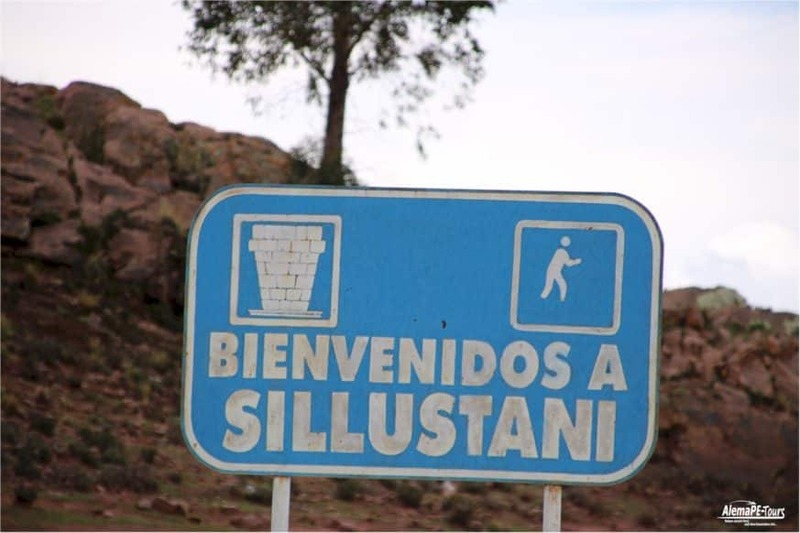 It always leads to admiration, because the people of the region lived, as in Atuncolla today in their simple mud huts with thatched roofs, but built for their ruling dead very imposing stone tombs, the so-called “Chullpas” Round burial places are to be found not only here in Sillustani, but also in other regions of the central Andes. The towers are mostly in a more or less good condition. Some at the front edge of the ridge are still seemingly complete, others are partially or completely destroyed by various earthquakes and also by the grave raids. Some others of the Cullpas were apparently never completely built. 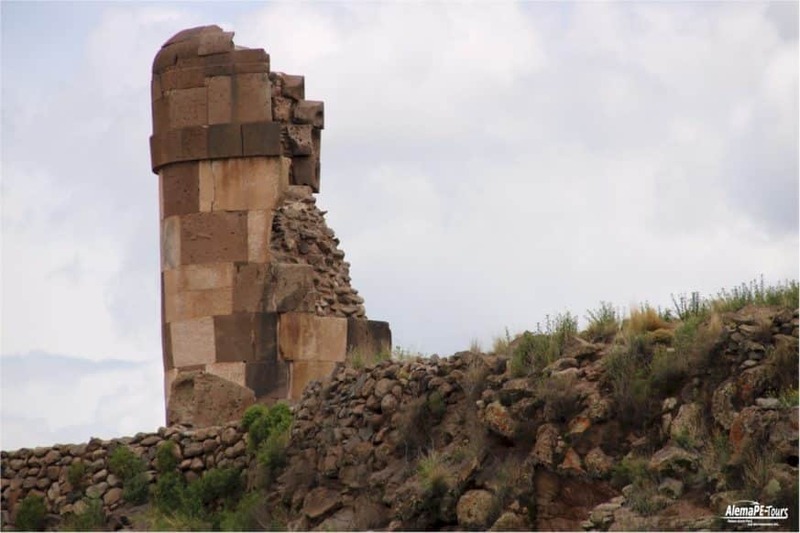 The graves were built as towers, the posterity owes the Aymara. 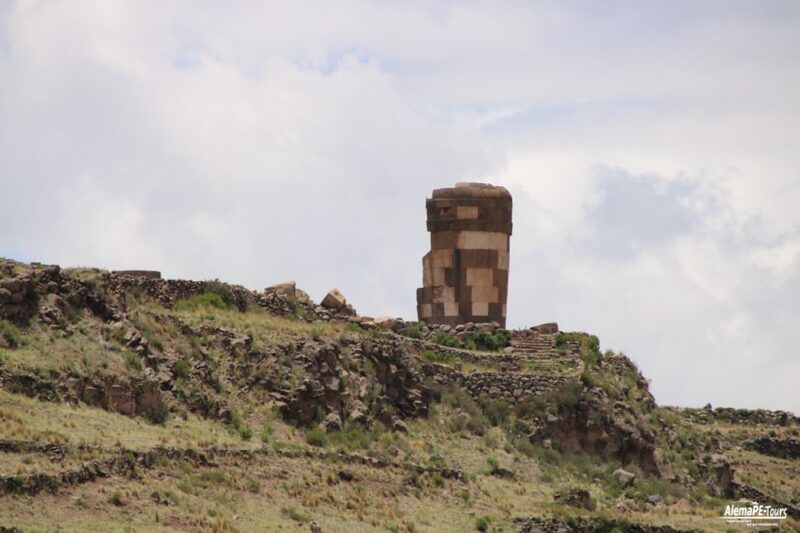 But archaeologists now also assume that after the subjugation of the Aymara by the Inca, the production of the tombs was maintained for some time. 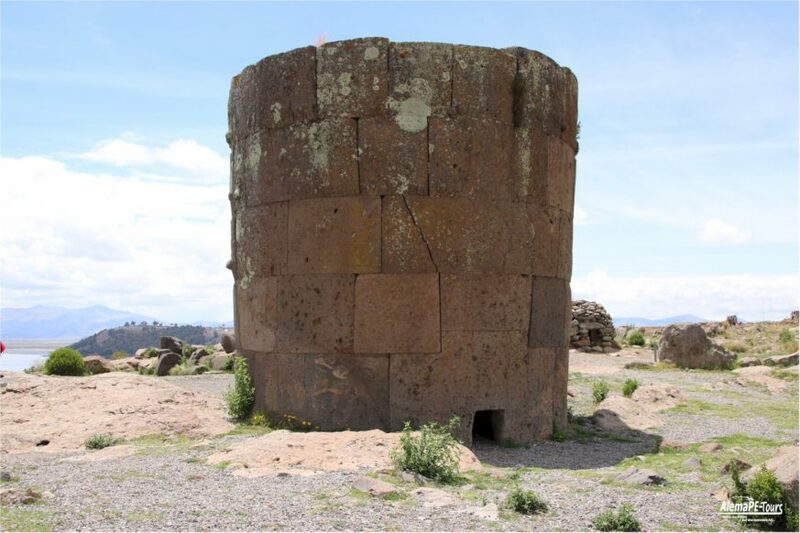 This can also be seen in the species and the execution of the carved stones of the still standing towers, since the stones of the built later in the Inca period buildings are higher than the rest of the past and occupy a larger footprint. Also, the later processed stone blocks are processed much more accurate. 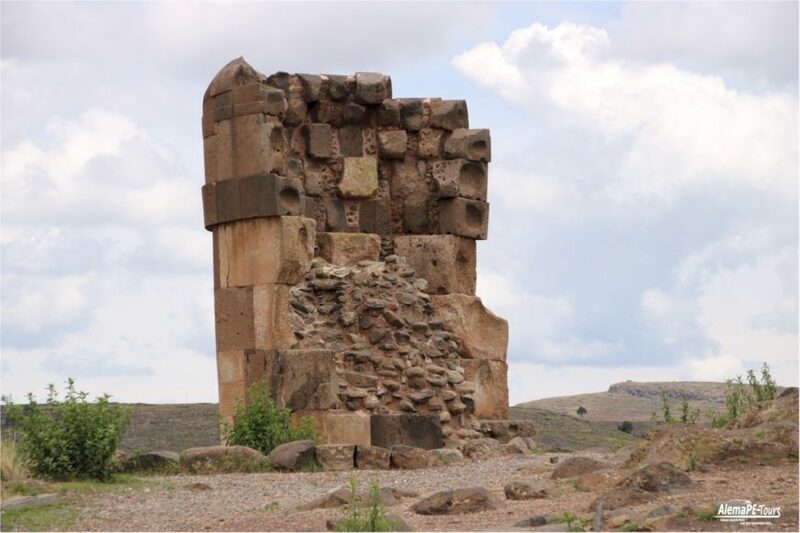 Most recently, in the archaeological excavations that took place in 1971, an immense treasure trove of about four kilograms was discovered, which escaped the grave robbers. 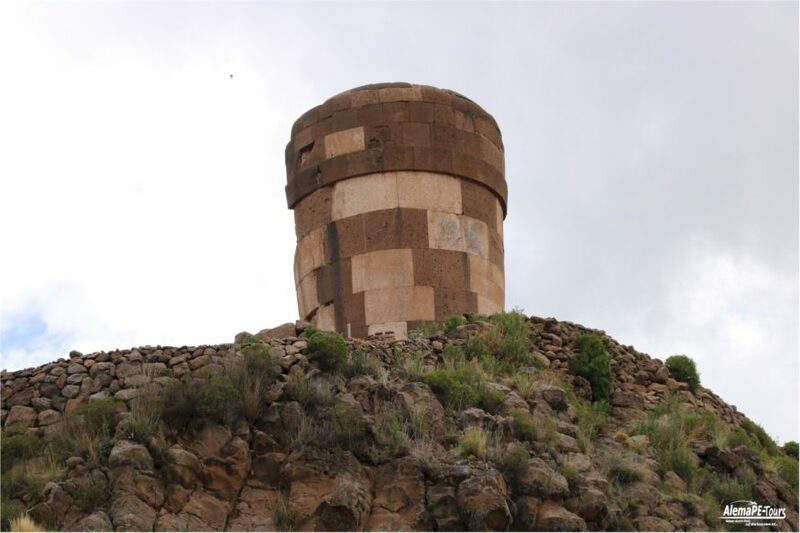 The twelve Chullpas of Sillustani are up to over ten meters high and covered with a stone slab or a thatched roof. 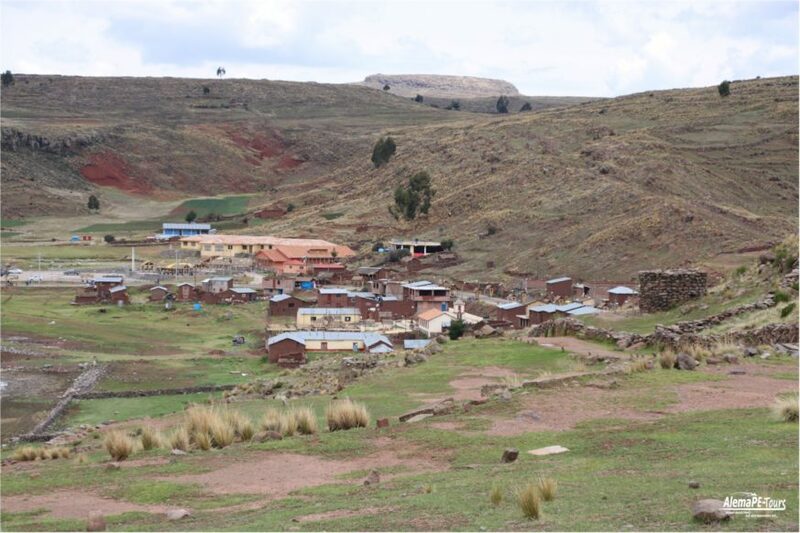 The older Chullpas on the hillside were built of smaller stones and clad with clay. 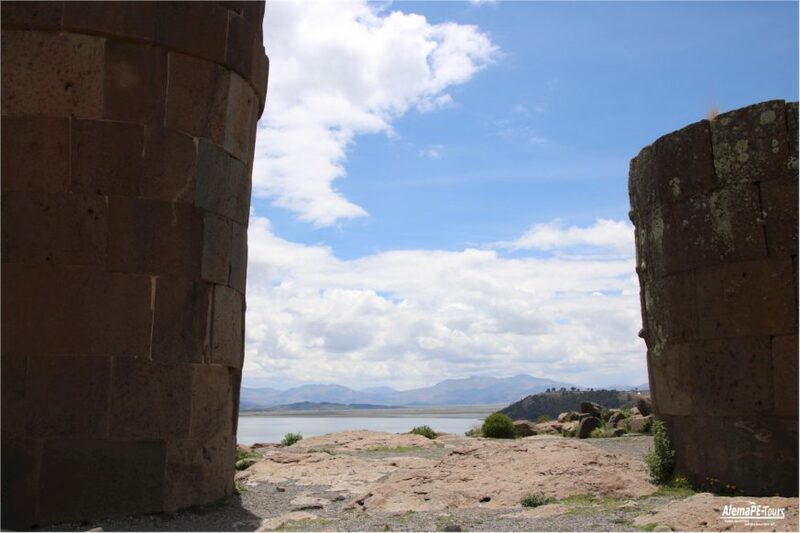 The more recent, more recent Chullpas from the Inca period have been created from perfected interlocking rectangular volcanic stones. 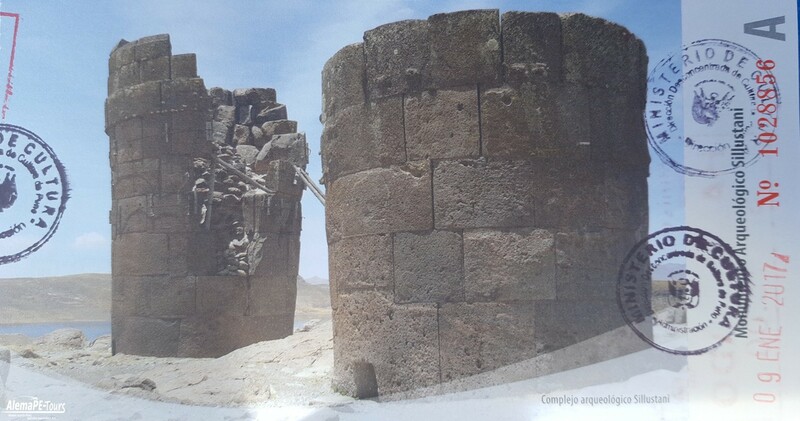 The single opening of each tomb tower faces east. This is also due to the faith of rebirth, because every morning in that direction the sun rises, which is considered a sign of rebirth. Some of the graves have lizards carved into the stone. 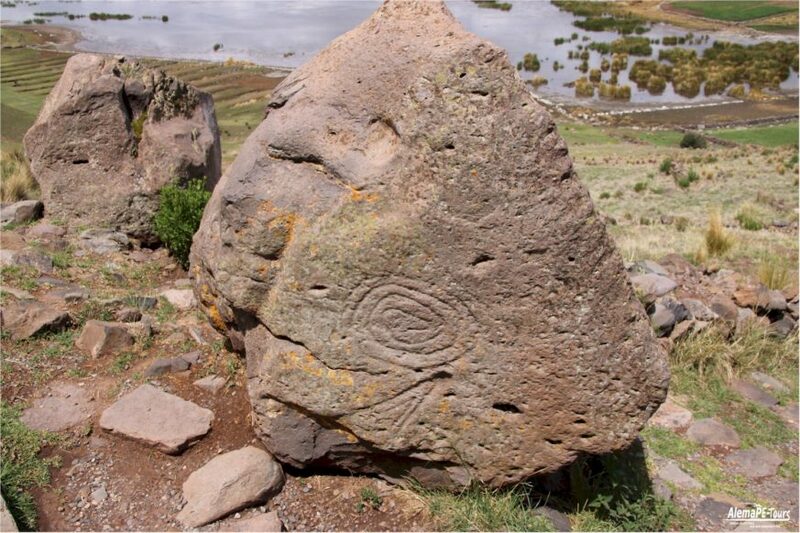 Because the tails of lizards regrow, this is considered as a symbol of the new life next to the sun. 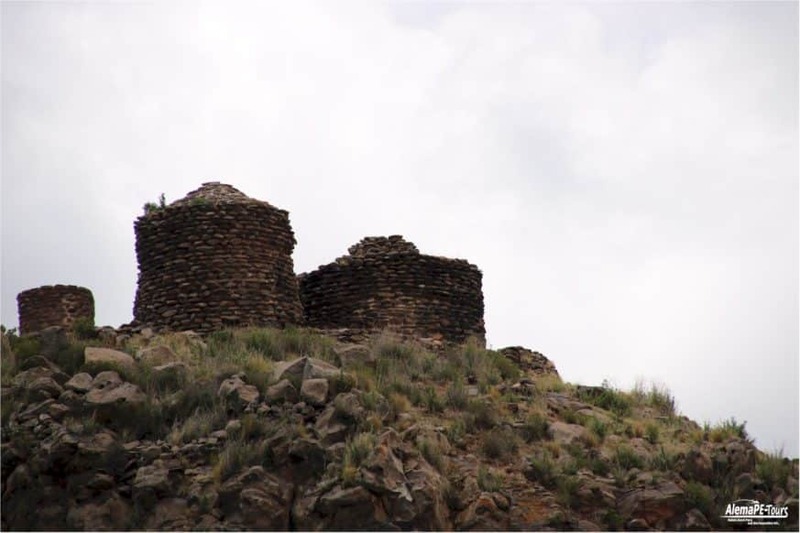 In the Chullpas, the remains of kings and other venerable persons were buried. The deceased were then constricted in the fetal attitude in cloths made of plant fibers and could then be sent in their belief in a new birth on their last journey of life’s journey. 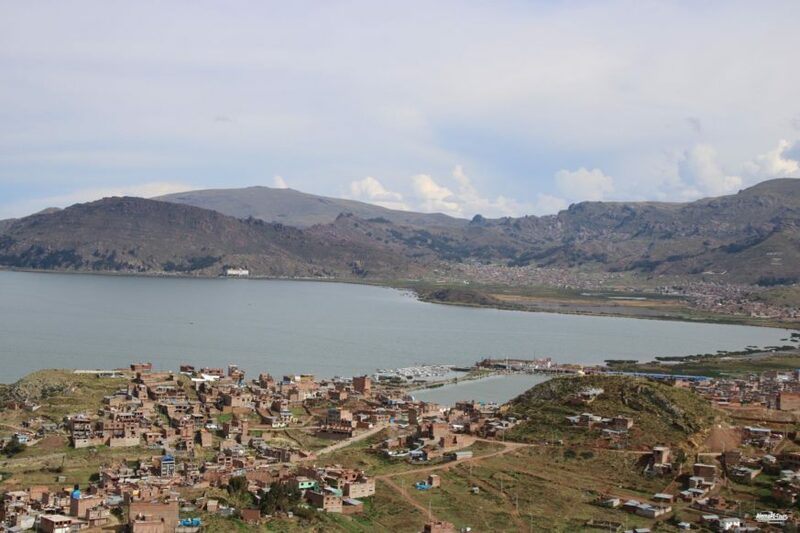 Thanks to the dry and cold air, many bodies have survived over the centuries. 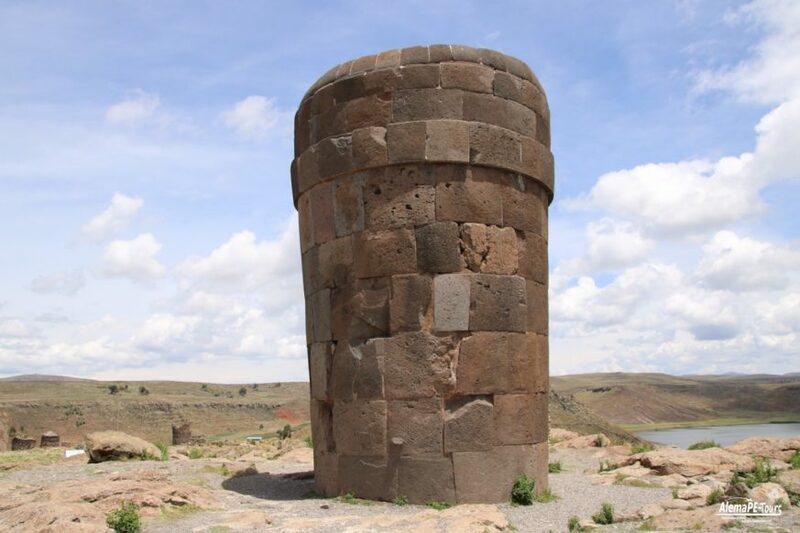 The deceased always immured a part of their belongings as grave goods in the Chullpa. 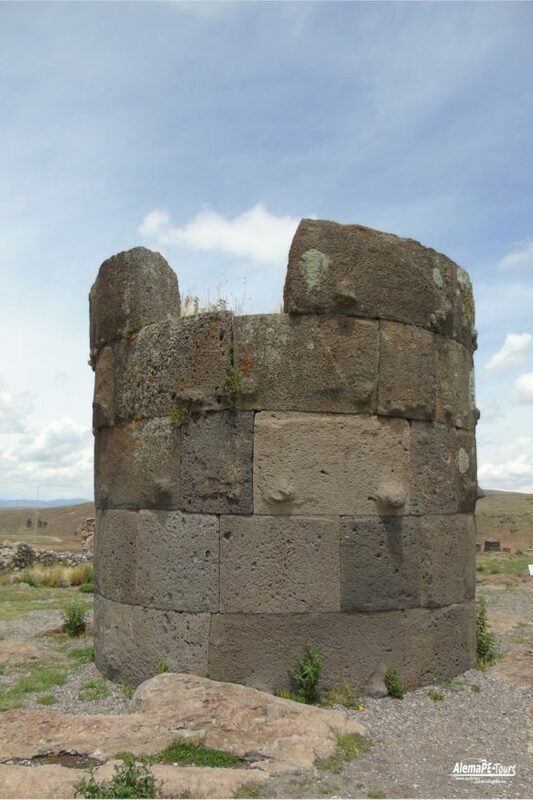 There are several statements that also assume that servants were actually walled in as well. 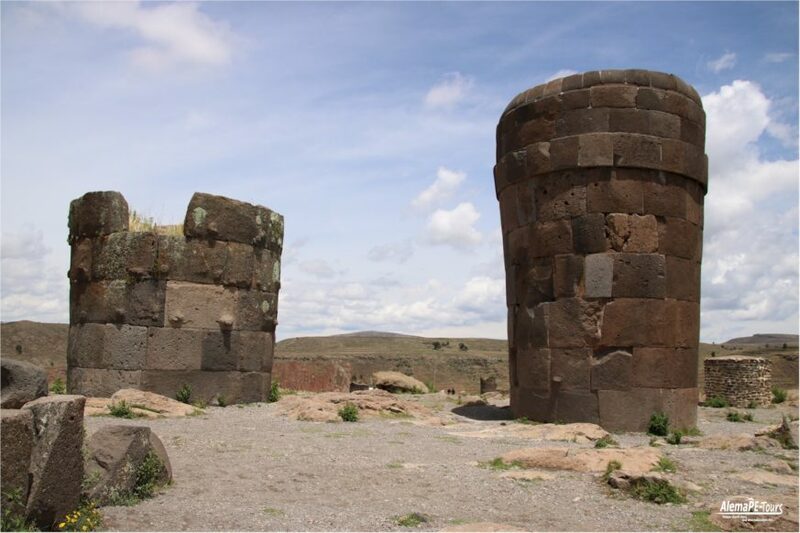 Later in the afternoon, the tombs of Sillustani are bathed by the low sun in a fantastic mystical light. This is the best condition for beautiful photos. Ask for reservation! 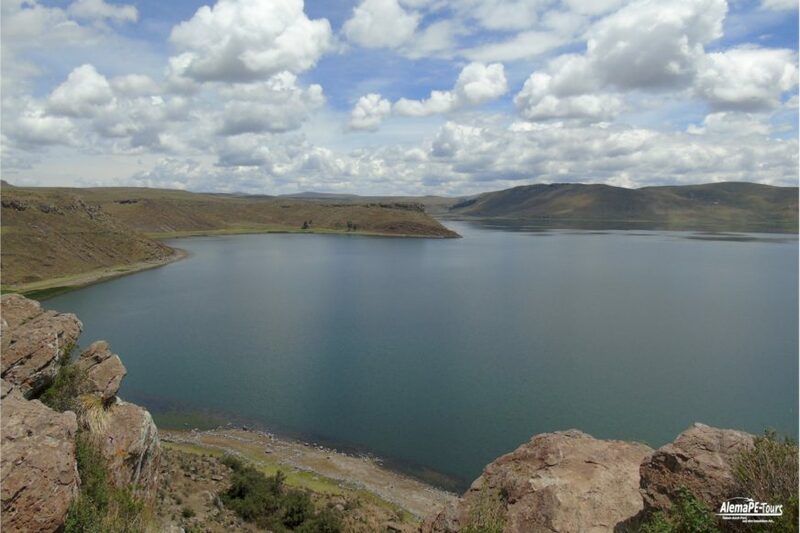 Book your tour package. Please contact us!